In the heart of the Imperial Courts, Ciardis Weathervane knows that death is coming for the empire. With her friends by her side and the new triad of Weathervanes, she's in a race against time to convince the courts of the same. She must do her best to unite kith, mages, nobles and merchants under one cause - the fight to prevent a war. Soon she is forced to keep a secret that could exonerate her mother of the Empress's death, and is always one move away from stepping into diplomatic chaos. Throw in a Daemoni Prince who is showing interest in the youngest Weathervane, a jealous Prince Heir, and a irritated dragon with her own designs on Ciardis, and you have an Imperial Court in turmoil. 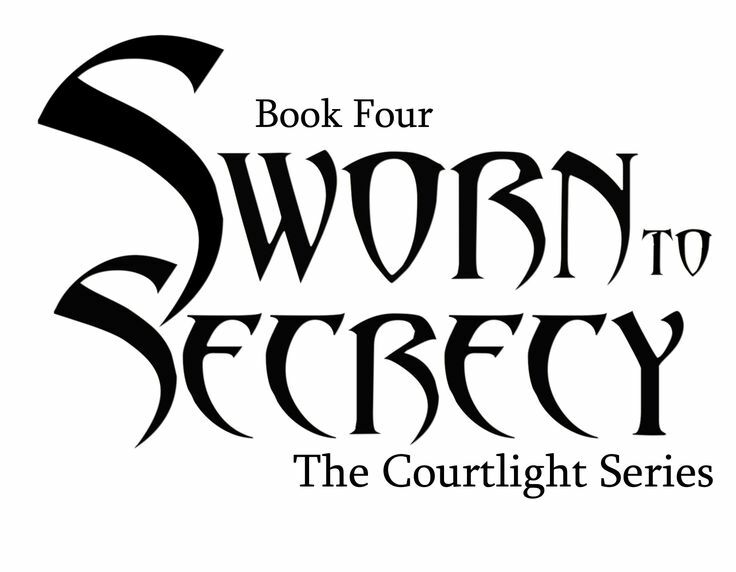 This fourth novel continues the story of Ciardis Weathervane from Sworn To Conflict. There were few things in the world that mystified Ciardis Weathervane more than the Imperial Courts of Sandrin. An intricate and multi-layered triad of courts with the Imperial family at the top, the landed nobles squarely in the middle and the wealthy ton comprising of the merchants, the artists and the mages at the bottom. If you could call it a bottom. Because nobles could be mages, Imperial family members had independent wealth and all of them played their games in pursuit of their own desires. Fidelity, honor and duty to the land wasn’t what drove these courtiers. Pride of place and greed for more took prominence above all. So landing back at Court on the arms of the woman that most everyone wanted dead and a man accused of aiding a serial killer wasn’t her best idea yet. 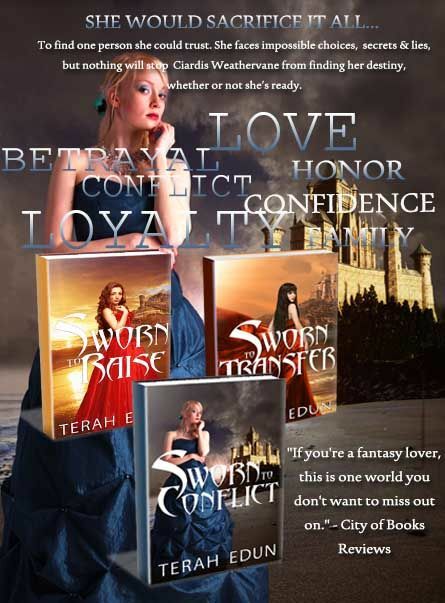 Terah is giving away 1 ebook copy of any book in the Courtlight series to five winners. CLICK HERE to enter! Good Luck!